Rick Swope is a cofounder of Pro Market Advisors, which specializes in premier investment education and trading consultation services for retail and institutional clients such as E*Trade Financial Corporation, the Options Industry Council, and the International Securities Exchange. Previously, he was the co-owner and managing partner of one of the first online trading firms. 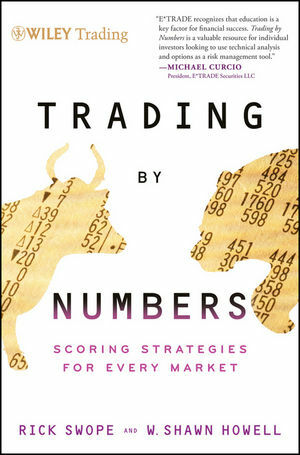 He is the coauthor of The Market Guys' Five Points for Trading Success (Wiley). W. Shawn Howell is a cofounder of Pro Market Advisors. He spent a decade working with Charles Schwab's most affluent and sophisticated traders as well as managing teams of specialized brokers. In 2005, Shawn concluded his tenure as the divisional manager of Schwab's Active Trader Field Team to teach currency, stock, option, and technical trading strategies across North America for Investools. In 2007, he became the Managing Director of the forex enterprise for Thinkorswim Group Inc. In 2009, Shawn and longtime friend Rick Swope cofounded Pro Market Advisors.